We brought our miniature crafts and make projects to the Barnes & Noble Mini Make Faire. Maria spent four hours teaching visitors how they can turn toothpicks into tiny colored pencils. One of the nice results of the event was realizing that we enjoy displaying the things we've made. 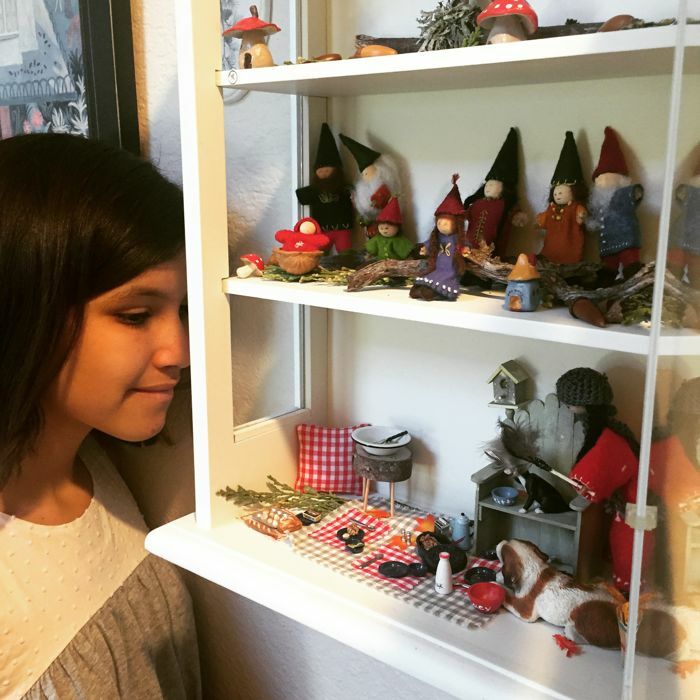 So, we've hung up a display case, at home, and Maria created a Thanksgiving scene, with her doll dusting and cooking, gnomes above, and our paper clay mushrooms on the top shelf. We love making. We love sharing.